In recent Google presentation, the search engine giant had demonstrated how businesses who serve their customers locally can grow their online presence. They did this in honor of National Small Business Week, teaching small companies how they can grow online and make the most of their advertising budget. But they before they began, they wanted to mention one thing. For the businesses who are in contact with Google’s trusted partners, such as Proceed Innovative, they can rely on them to answer any of their questions. As a Google-certified internet marketing agency, you can depend on our professionals to help you grow your business online. Whether it’s optimizing your website, Google My Business listing, or AdWords campaign, you can count on us to deliver results that can make your business thrive. In response, Google is always looking for new ways to help businesses solve these challenges while helping them to connect with their local customers. So they provided some insights on these search trends and discussed how they can take action from these searches. 87% of smartphone owners turn to search first in a moment of need. And as technology continues to progress, the need for local businesses must not only meet, but anticipate the need to be found by local customers becomes more and more important. Today’s customer is not only curious, but research-obsessed. If they have any questions about anything, they look to Google for answers. Research has even showed that today’s customers are curious about the smallest things. For example, the search for the world’s best travel pillow has increased by 300%! Combining specificity with curiosity from local businesses, the need for small businesses to be visible online and provide this advice is more important than ever. Today’s consumer is demanding with expectations that are higher than ever before. They expect tailored experiences without having to introduce themselves every time or even having to explain their requests; it’s too much work them! 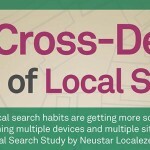 A recent study has shown that 66% of mobile users are more likely to purchase from a business with a mobile-friendly site or app that is customized to their actual location. Google has seen more than an 85% increase in mobile search for “where to buy (product)” and 60% of customers will also check whether that product is in stock before visiting the store to buy it. People now know that many websites will feature product availability, and when it is, they expect to be able to buy it. Also keep in mind that less customers are willing to share their location and personal information but still expect relevant information from local businesses. So as businesses, it is becoming crucial for you to understand these signs and interpret them to figure out what your customers actually want. Ultimately, the companies who go the extra mile will be the ones who can expect to see the best results. Today’s consumers are willing to invest their time in the research process, but in each of these micro-moments, they want to take action, whether it is knowing, going, doing, buying, acting, and getting right now. They want their experience to be fast and frictionless – especially on mobile. Many businesses have already caught onto these trends, jumping on the bandwagon to provide for the customer in the moment. On the other hand, this is driving consumer’s expectations even higher. As a result, customers now have a tendency to get things done last minute while making more on-the-spot decisions. To support this claim, Google has found a 3x increase in “open now” searches. Google then continued the presentation with another speaker, Anastasia Kudrez, who discussed how Google can help you (the small business) reach your local customers. First, it’s important that your business website and Google My Business listing can appear on any device, whether it be mobile, desktop, or tablet. 3 out of 4 consumers will use a search engine to find a business and 7 out of 10 customers made a purchase from a business after finding them on a search engine. As a local business, you have the opportunity to appear in the exact moment your customer’s need arises. You will appear on the search results when people are looking for the products and services that are related to your business. Google used the example of the business, Pie Junkie, and how they took advantage of their business listing to drive customers to their door. Sadly, their building can be hard to find. But the directions feature on their business listing has allowed customers to easily find them, resulting in lines going out the door. When you first create your listing, you were able to add the most important information, like your phone number, website, address, hours of operation, etc. But recent updates have allowed businesses to add timely content. Overall, adding fresh content will help your listing to stand out more. You can now post directly on your listing to promote your events, products, and services. Google provided an example using a business’ event called Southern Supper Series: Gettin’ Pickled. The business included the date, time, and description of the event to capture local customers’ attention. There is also a link to click on to book or register for the event. The post will stay there for 1 week, unless it is an event; it will be removed automatically after the date of the event on the listing. But Google still allows customers to see a historical record of the posts on mobile devices. 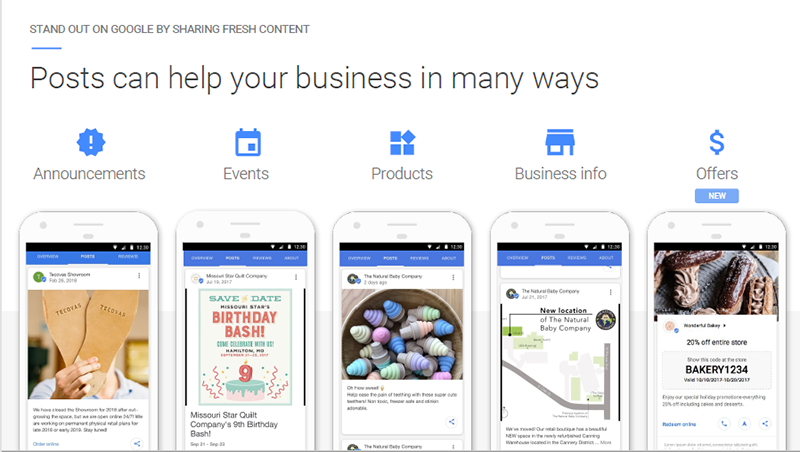 In addition to the events, maps locations, and product update opportunities, you can now feature in your business posts, Google has now rolled out a new option called offers. Offers allow businesses to promote their products and services by featuring a coupon or promotion to continue connecting with local customers. After making a few posts, you can measure your results with the Insights tool on the dashboard of your listing. Insights show the number of views and engagements you have received. This can help you find areas where you can improve your posts so you can drive more customers to your door or website. Another recent feature added was the opportunity for businesses to add video content up to 30 seconds. Despite the fear of many businesses to create videos due to their notion of being expensive and recorded in a large studio, this is no longer the case. Nowadays, anyone who has the ability to record videos on their phone can add a video to their Google My Business listing. But of course, the video must be effective and stand out from others. There’s no black and white guidelines that will guarantee any video will help your business; however, here are a few tips to keep in mind that will help your customers to understand your business. Google My Business Listings that include a link to their business website generally get 25-35% more clicks vs. those that don’t. While this can be easy for businesses who have websites already, those who are just starting out can easily feel a disadvantage. This is where Google can help. Over time, and after you have engage with specific customers, like regulars, encourage them to write reviews for your business. They can share their experience with your products or services, and it will help your business to stand out. If you are interested, visit this website, smallthanks.withgoogle.com. The first thing to know about finding new local customers is to measure the progress from the customers who have found you so far. 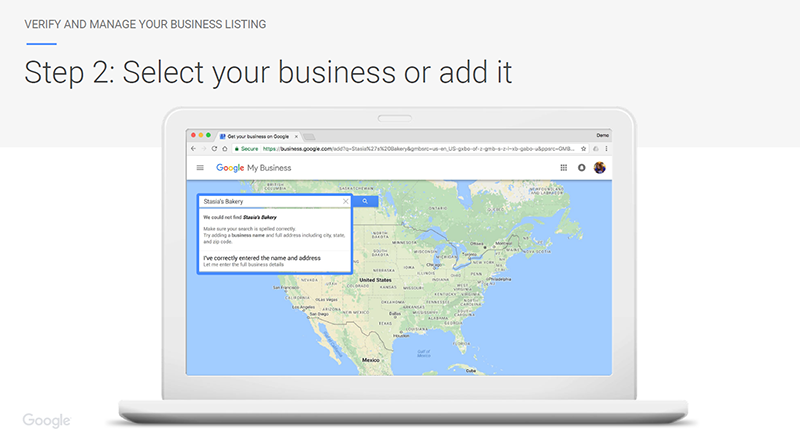 To do this, you can visit the Insights tab from the dashboard of your Google My Business listing. You will be able to view the number of searches for your business, photos views, and post views. With searches, Google differentiates these into two different types: direct and discovery. The following are the definitions of direct and discovery searches. Direct search – when customers know your brand and search for it directly. Discovery search – when customers don’t know your brand but found it when looking for your product or service. An example of a discovery search would include a customer searching for Chinese food and your business appeared because it is a Chinese food restaurant. Another part of connecting your business with new customers is to advertise. Within Google My Business, you can create an ad using AdWords Express. 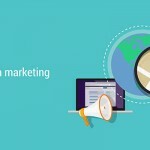 This is an additional feature apart from AdWords that allow businesses to quickly connect with new, local customers. If you are also interested in advertising using AdWords Express, please contact Proceed Innovative directly, and we will be more than happy to help you get started! 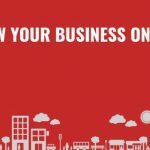 In order to access or create your business listing, go to this link gybo.com/business. Click on the button that says “Enter your business and city” and enter your business name or address on the map. If you see your business, you can verify it by calling the number or sending a postcard with a PIN number to your address. But if you don’t see it already, you can create a new one and fill out all the needed information. You will also need to verify it either by phone or mail. Once you have verified your business, you will then be able to manage it using an app from the Google Play Store or App store on Android and Apple mobile devices. This way, you will be able to post to your listing from anywhere and at anytime. After covering a vast amount of information, it can be easy to get lost or even not know where to begin promoting your local business. Google understands as this is all very new for businesses, especially for those who serve their customers locally, which is why they highly recommend reaching out to their trusted Google Partners for help. As certified partners, agencies are knowledgeable of the giant search engine’s policies, algorithms, and best practices. They have also passed a set of rigorous exams in order to achieve full certification as a trusted partner. Among these trusted partners includes Proceed Innovative, an established internet marketing agency that serves the Chicago, IL area. Our internet marketing professionals are both trained and experienced when it comes to helping local businesses increase their online visibility. We will work with you to accomplish your goals, both off and online to ensure your customers are conveniently finding you. Please give us a call at (800) 933-2402 or fill out a contact form for more information or a free estimate. We look forward to hearing from you soon!